Changing Photo Industry: Client Creations: On August 22nd @ 1:00 pm PST, Anna will discuss our new product, Client Creations. What it is and how it works. Learn how you can provide your client the design control and still make money. Introduction to Web Galleries Pro: On August 31st @ 1:00 pm PST, we will give you an overview of our new Web Galleries Pro. See what’s new and learn how it can help grow your business. Update: We have added some additional webinars in September. Take a look at our new Software and Client Creations sessions. 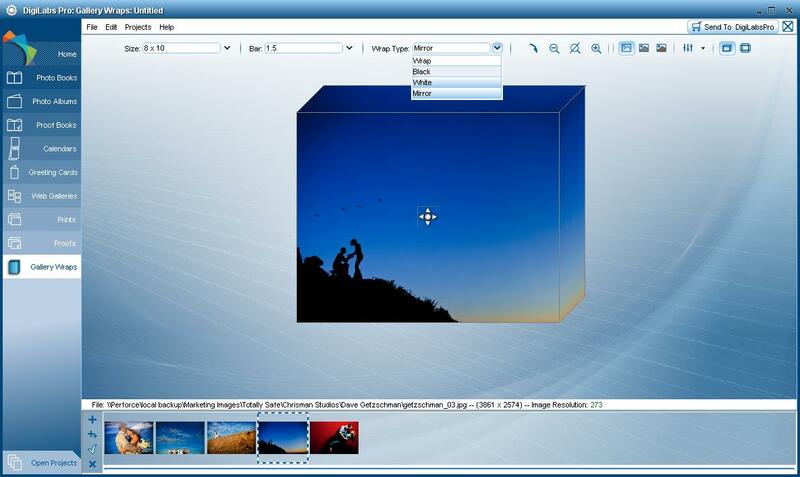 This entry was posted in DigiLabs Pro Software and tagged photographer web galleries, software tutorial, webinar on August 16, 2011 by DigiLabs Pro Blogger. Recently we launched some new features within software to make it easier for you to create custom photo products from your desktop. The changes primarily effect Coffee Table Books, Albums and Gallery Wraps – with new functionality that makes it easier for you to be creative. 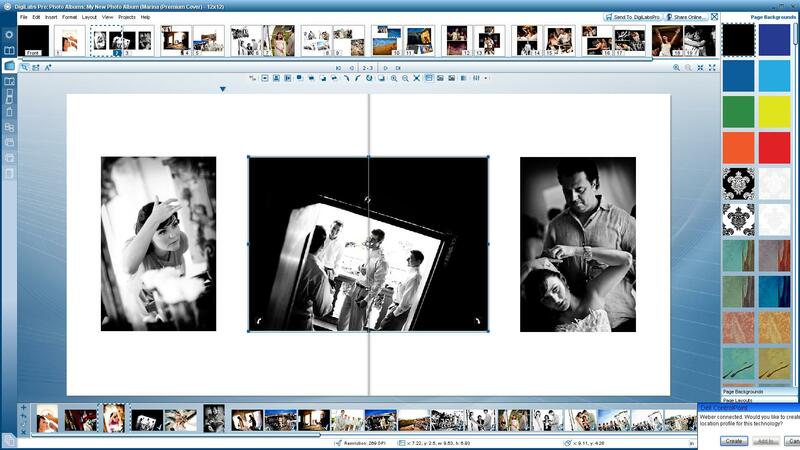 2 - Do you like a lot of full page images in your book? 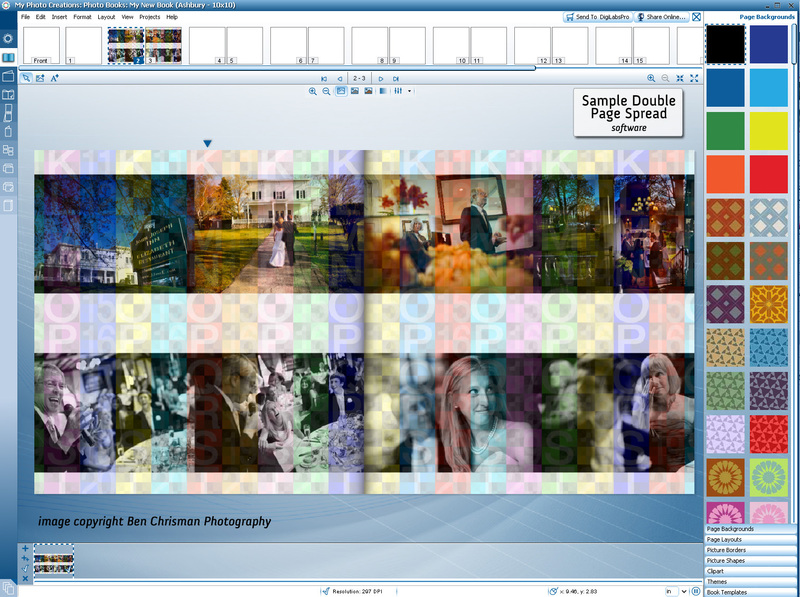 Or do you like to start with full page image templates to start your designs? 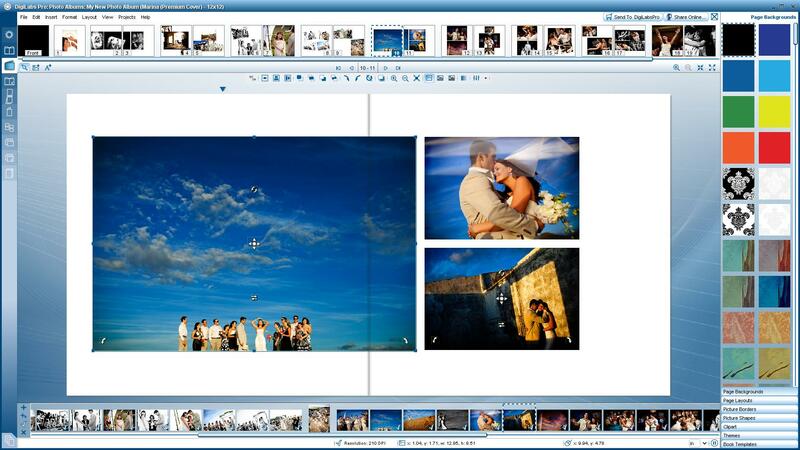 Now you can utilize the full page template and create these types of books. Easily select this template in our wizard and voila..
3 - For gallery wraps you can now do a mirror edge within the software. Just select from the drop down box. 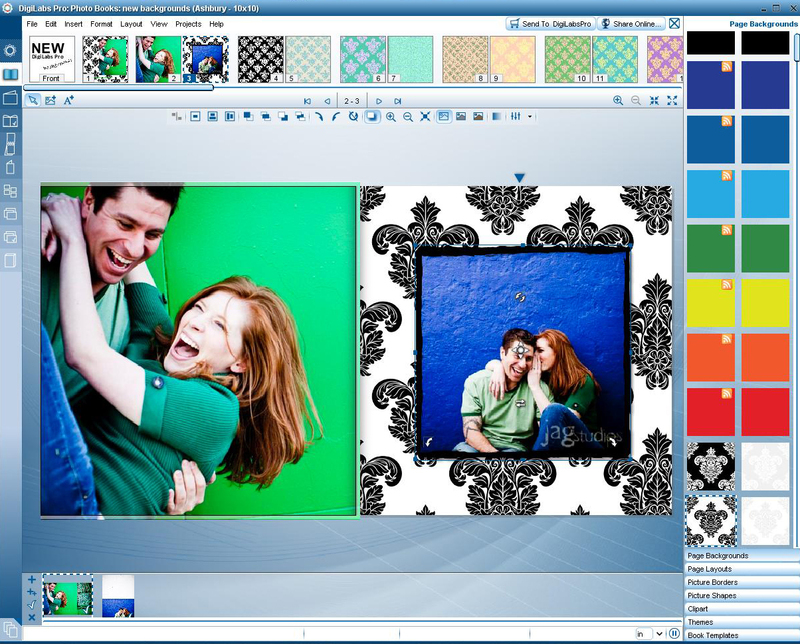 4 - Want to make sure you have your image laid out right on all sides of your gallery wrap? Flatten it with our handy flat view tool circled below. We are always making usability and feature updates to our software – so make sure you update your software when it prompts you. Our team is is also working on updates to our web galleries… more on that later! This entry was posted in DigiLabs Pro Software and tagged photographers, professional photography, software on February 17, 2011 by DigiLabs Pro Blogger. In a recent group meeting, we were discussing what tools or bells & whistles could be added into the DigiLabs Pro software to make it even more beyond wonderful for our customers. One of the continuing conversations that came up was content. We are excited to share with you what came from the pow-wow; new backgrounds. Can you say exciting? We’ve added a total of 45 new backgrounds for your designing pleasure. Check out a preview of them HERE and download the newest version of the software here. This entry was posted in DigiLabs Pro Software and tagged DigilabsPro, new features, software updates on July 20, 2010 by DigiLabs Pro Blogger. As you might remember, I’m working hard on getting some online tutorials up for the new software. I am really excited to share with you the first of many tutorials to come. This tutorial is regarding how to upload your first gallery using DigiLabs’ online web services. I would love to get some feedback, what helped? what was missing? etc, etc. So, watch, enjoy & share! This entry was posted in DigiLabs Pro Software and tagged DigiLabs Pro Software, Support, Tutorial, web gallery on June 25, 2010 by DigiLabs Pro Blogger. And we’re back. You might remember a week ago I started to analyze the DigiLabs Pro software in Getting to Know You (The DigiLabs Pro Software). And you also might remember that on Monday we created some guidelines that we could use in the DigiLabs Pro Software when working in Photoshop. These guidelines would help us understand what areas of our design would be lost in printing and how we can design accordingly. Now, it’s time to use ‘em. I opened a new blank 10×10 Ashbury book in DigiLabsPro. 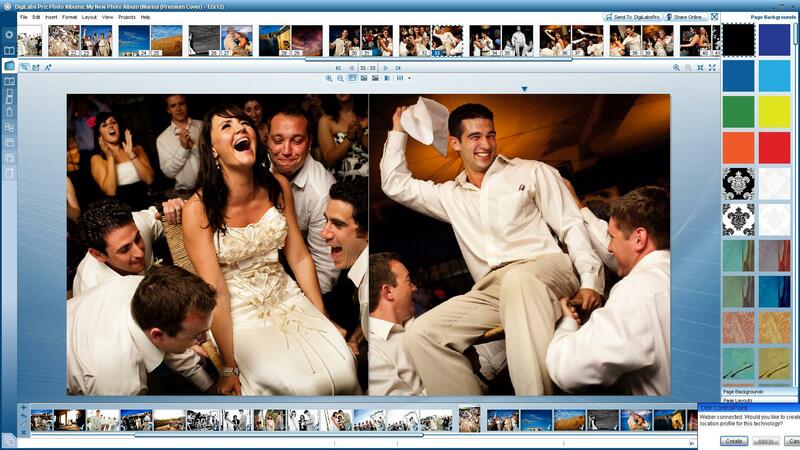 I imported the .jpg images in the “10x10ashburyJPG”. I dropped the cover.jpg into the front cover as a “Two-Page Spread Background” and then dropped the firstpage.jpg into page as a “Single Page Background”. 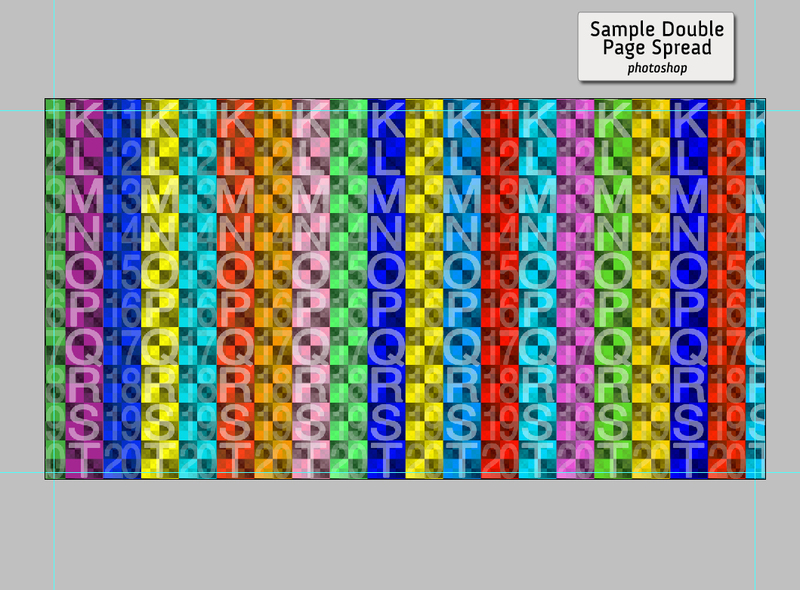 Then I dropped twopagespread.jpg into page two as a “Two-Page Spread Background”. Finally I dropped lastpage.jpg into page twenty as a “Single Page Background”. Make sure to go to “View” and made sure “View Bleeds” is OFF. I saved the project and left DigiLabsPro open for this next step. We now have created our own Photoshop guidelines. 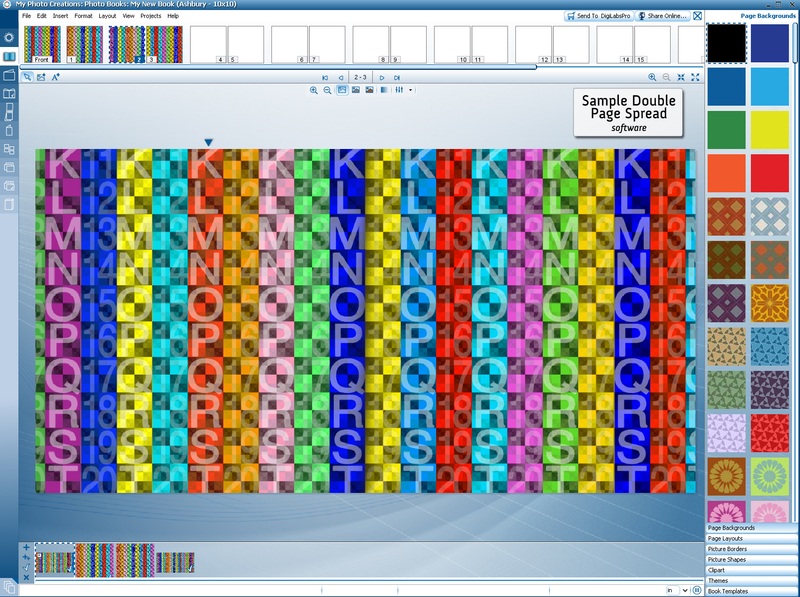 View a two page spread of the book in DigiLabsPro software. Open the twopagespread.psd file (NOT the cover.jpg) in Photoshop. Going back and forth between DigiLabsPro and Photoshop, note where the four edges of the cover image in DigiLabsPro fall on the grid. The grid numbers and colors will help you determine the exact location of where the edges fall. 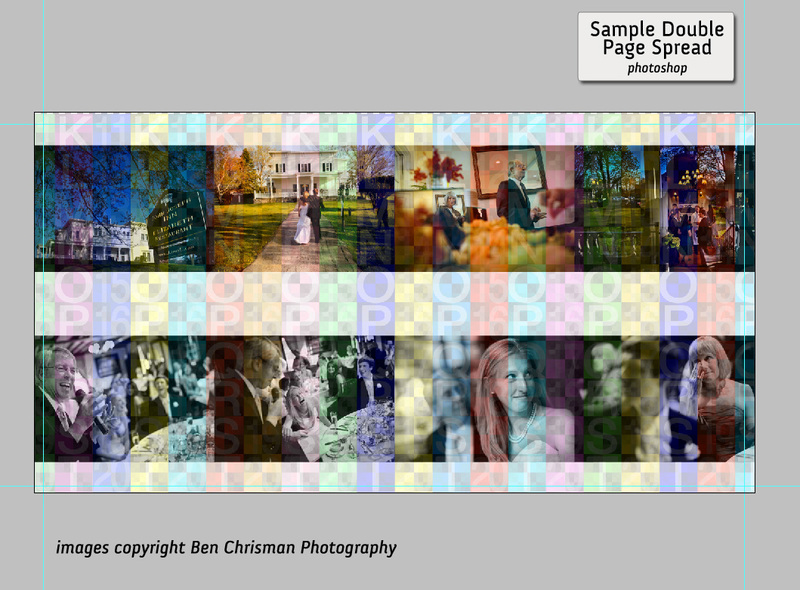 In Photoshop drag guidelines from the image edge rulers to the position on the grid where the image edges fall on the same grid in DigiLabsPro. Save your Photoshop file. Congratulations! You’ve created a Photoshop guideline for a two page spread of a 10×10 Ashbury book. Now repeat the process for the firstpage.psd, cover.psd and lastpage.psd. Go back and forth between DigiLabsPro and Photoshop, note where the four edges fall on the image in DigiLabs Pro and create guide lines that match in Photoshop. Don’t forget to save! Now you can actually add a layer to your cover.psd file and make any design changes you’d like inside your grid lines. “Save As” twopagespread.jpg in the “10x10ashburyJPG” folder so it replaces the previous twopagespread.jpg. Here is where the magic happens! DigiLabsPro has a book file that has a map that tells it the name and location of the files used on each page. If you change the file in an external image editor but give it the same name and replace the old image in the DigiLabs Software. Check the cover of the book in DigiLabsPro and you’ll see the picture, design changes or anything you put on the grid! twopagespread.psd (measuring 19.05 × 10.05) NOTE this file will contain nine groups representing nine two page spreads. If I import the .jpg images in the “10x10ashburyJPG” folder into the book drop and drop each image. Now I save the book. I can make any changes I like to the Photoshop files. If I am pleased with the result I can save the image as the same name and to the same location and the book should automatically reflect these changes. Oh, and it doesn’t have to be Photoshop! Any image editor that has guides and layers and can export .jpgs will work, even the GIMP and that’s free! You also can double check your work by clicking the “Send to DigiLabsPro” button and look at the placement of the cover images and page images. Feel free to download my files for a 10×10 Ashbury book at DigiLabs Support page under donwloads. Let me know what you think of this DigiPros! This entry was posted in DigiLabs Pro Software and tagged Professional Photographer, software help, software tutorial on June 11, 2010 by DigiLabs Pro Blogger.